Directions: Roll out a seaweed sushi wrapper onto a flat surface. A sushi roller may be used. Place a layer of sticky rice onto the seaweed wrap, gently pressing flat. 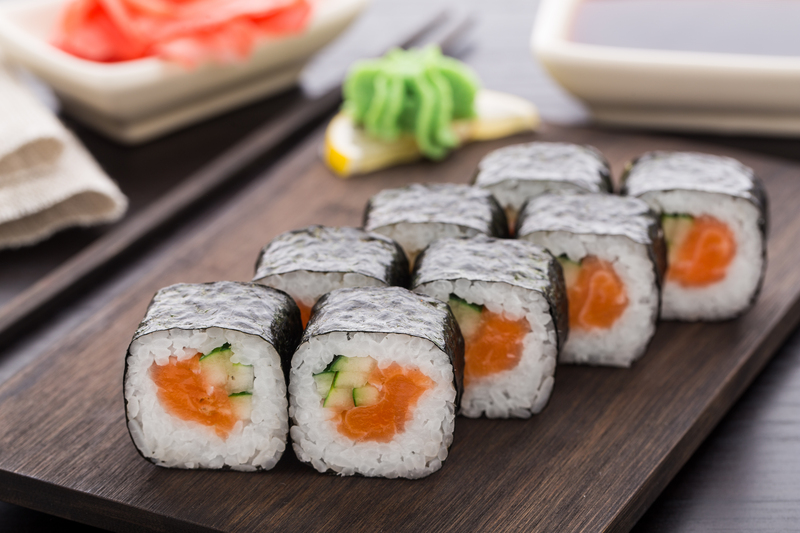 Place a thin slice of sushi quality salmon onto the sticky rice, or dice the salmon and place on top. Spread the strips of cucumber onto the salmon. Top with a sprinkle of scallions. Roll and slice the sushi. As an option, you may spread a thin layer of wasabi into the center of the roll while making it.